Boiler Lockout? Here’s How To Reset A Boiler. Need to know how to reset your boiler? After a boiler locks out, it needs to be reset in order to fire up again. A boiler lockout is a safety feature of all modern boilers. When the boiler detects a problem, it will lockout. This quick guide will show you how to reset a boiler from brands including Vaillant, Worcester, Vokera, Glow-Worm, Ideal, Ferroli, Baxi and Halstead. Had enough of your unreliable old boiler? You can get a quick boiler replacement quote here. Have a flick through our guide to why boilers lockout, to determine the problem. When a boiler needs to be reset, it’s due to a lockout. Before you reset your boiler, you’ll need to determine what’s caused the boiler lockout. 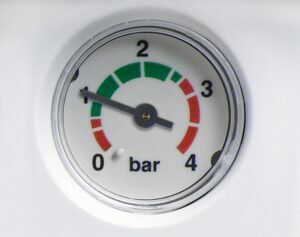 After experiencing a lockout, a boiler will display a fault code. You’ll need to diagnose the fault code and fix the problem before continuing. If your having to constantly reset your boiler, it’s because you are not clearing the fault, before resetting it. The boiler lockouts as a safeguard. That’s to protect internal parts in the boiler, and you, if the boiler is unsafe. Contact a qualified engineer to diagnose and fix the problem (advisable). Most modern boilers will have a reset button that’s located on the boiler’s display. This will be located near where the fault code is being displayed. As an example, the reset button on a Vaillant EcoTec will be flame with a line through it. This is the reset and ignition button. If you can’t locate your boiler’s reset button, refer to the owner’s manual. Expect to press and hold the reset button for 3-10 seconds. Not all boilers will fire straight up after being reset. Most modern boilers will need to go through a reset sequence. This could take 5-10 minutes. If you’re confident you’ve found and fixed the fault, found the reset button, and the boiler isn’t resetting, it’s time to call in an engineer. 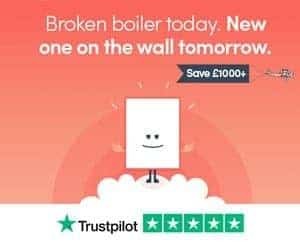 Looking for someone to replace your boiler? You can get a quick boiler replacement quote here. And, we’re always happy to offer help. If you can’t reset your boiler, or it keeps needing to be reset, leave a comment below.